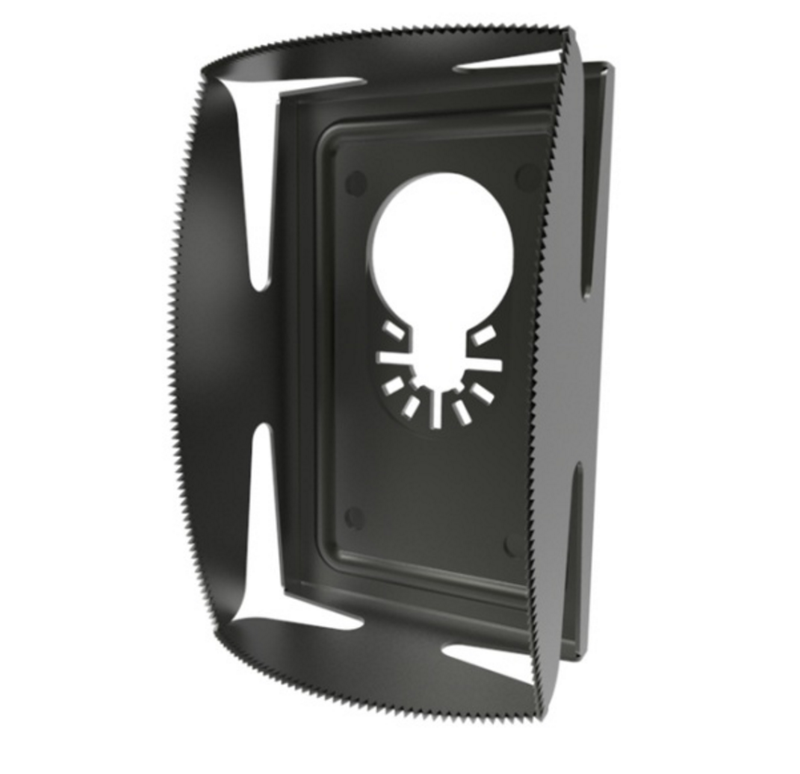 The QBit is our newest product, intended to simplify cutting drywall for retrofit outlet box installations. The QBit fits most oscillating multi-tools, and cuts perfect rectangular holes with clean edges. Created with speed and precision in mind, this tool will eliminate the need for traditional drywall saws. Qbit saws are made in the USA, featuring stainless steel construction and our patent pending Osciflex technology. Available in four sizes for commercial and residential use. NOW WITH 30% MORE PULLING STRENGTH. This tool was developed to take the pain out of fishing wire. The Magnepull couples wire from inside the wall making it easy to drag from the attic to a desired location. Ideal for pulling cable in hollow, insulated, and metal stud walls. Our patented design features rubber wheels to prevent wall damage, and powerful rare earth magnets provide a strong connection. Drag through drywall, insulation, and carpet with confidence. Magnepull is used in commercial and residential installations of cable, satellite TV, home theatre, security, telecom wiring, and more. Enjoy spending less time in hot attics and uncomfortable crawl spaces with this revolutionary time-saving tool. THE NEW K2 DESIGN FEATURES 25% MORE RANGE AND AN AUDIBLE INDICATOR. The new Magnespot XR1000 is an intelligent reference point locating tool. The XR1000 can transmit a signal through 40 inches of concrete, with a total range in excess of 48 inches. Our patented design utilizes audible and directional signals to accurately locate a reference transmitter within half of an inch. The XR1000 is the most versatile reference point tool available, offering endless application possibilities.